One of the preference of Android over iOS is the “Windows-like” ability to install native application files without you going through the stores. Although Apple would opined that the absence of such facility makes iOS more secure but then, we never complained about it on Windows, so why should we now on Android? Applications like Flashshare and Xender enables users with limited or no internet gets their favorite apps from friends. But there are more ways to get the installation apk off your droid without having to root your device. a) Download and install Airdoid on your device from here. b) After installing, open the app and follow the instructions to create a local hotspot. c) On your PC, locate the created Wifi hotspot and join in. d) Once joined successfully, open your desktop browser and enter the IP address given on your device. e) On the Airdroid browser interface, Go to “Apps”, then select the required app and finally click on the “Download” menu. f) Airdroid will automatically extract the apk of the previously selected app and save them in a single compressed file (zip) on your computer. b) After installing, Go to “Tool” menu, then “App Manager” and select the required app. c) Choose “Backup” and the app will automatically extract the apk files from the previously selected apps and save them inside the created “Backup” folder I your memory card. 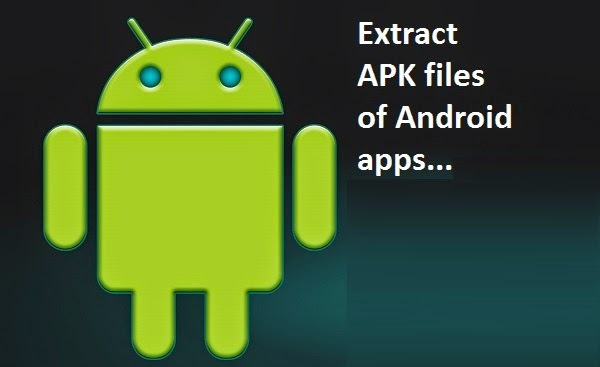 A distinctive feature in this method is that it does not extract apk from your android device, rather it pull it out directly from Playstore using an online apk extractor. Using this online tool, all you need is to copy and paste the Playstore url of the required app and it will extract the apk file and save it on your computer. To use this tool effectively o your browser, make sure your Ad/pop up blockers are on their toes.